PHILADELPHIA—July 24, 2017 American Friends of the Hebrew University (AFHU), a national nonprofit organization dedicated to raising support for, and awareness of, the Hebrew University of Jerusalem, announced the launch of a new Center City Philadelphia office to serve the greater Philadelphia community. This office will complement AFHU’s six current offices in regions throughout the United States, as well as the operations of its national headquarters in New York. AFHU’s Philadelphia office will be headed by Mr. Seth M. Bloom, an experienced development professional with close ties to Israel and the American Jewish community. The Hebrew University of Jerusalem, in independent surveys of the top institutions in academia, ranks first in Israel and among the top 100 universities worldwide. Founded in 1918 by visionaries such as Albert Einstein and Chaim Weizmann, the Hebrew University is a multicultural and pluralistic institution devoted to innovation and achievement across seven academic Faculties. Among its many accomplishments, Hebrew University faculty and alumni received eight Nobel Prizes. Over the years, Hebrew University has developed productive collaborations and partnerships with leading U.S. universities, including the University of Pennsylvania. The Hebrew University-Hadassah School of Dental Medicine was founded by the Alpha Omega Fraternity, with support from U. Penn alumni and faculty. The D. Walter Cohen Middle East Center for Dental Education at Hebrew University was established in tribute to Dr. D. Walter Cohen, former Dean of the U. Penn School of Dental Medicine. The Koret School of Veterinary Medicine at Hebrew University has maintained an ongoing relationship with U. Penn’s School of Veterinary Medicine, and other exchanges exist between these two leading universities. The Hebrew University and Thomas Jefferson University also initiate academic partnerships. 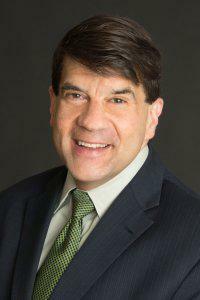 Seth Bloom began his career as Assistant Director of the Jewish Federation of Delaware in 1989, subsequently becoming a Planned Giving and Major Gifts Officer of the Jewish Federation of Greater Philadelphia. In 2000, he expanded his professional portfolio as Vice President of WPO & Associates Consulting and later as the Founder and President of Bloom Metz Consulting. He has spent the past several years with the American Associates of Ben-Gurion of the Negev. As a professional consultant, he has provided hands-on service and supplementary leadership to more than 150 non-profit organizations. “Seth Bloom will play an important role in our efforts to advance higher education and research in Israel. AFHU will ensure that our already strong community of supporters in the greater Philadelphia area can become actively engaged in the transformative work of the university,” stated Beth Asnien McCoy, National Executive Director of AFHU. “Recognizing the special relationship that people who live in the U.S. Mid-Atlantic Region have with Israel, I’m thrilled to be representing Hebrew University in this new position,” said Bloom. Seth Bloom can be reached at the AFHU office located at 2100 Arch Street, Suite 455, Philadelphia, PA 19103; telephone 215.330.6722 or email sbloom@afhu.org.